Dear reader, it’s been so long since we wrote, but fortunately today we have no excuse because it’s National Letter Writing Day on December 7! 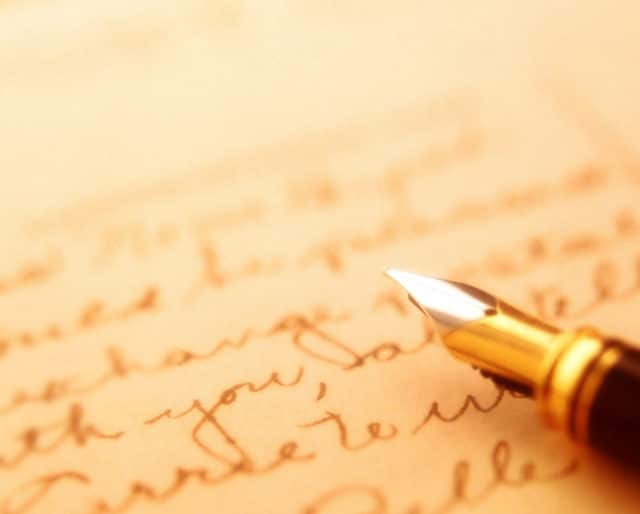 Letter writing has been in decline because of smartphones, the Internet and before that, the telephone, but for hundreds of years, it was the only way for people separated by distance to get in touch with one another. Today is a great day to get back to basics and hand-write a letter. But isn’t the idea of sitting down for half an hour and hand-writing something to somebody special? We miss it. Don’t you? Write back soon. Love, us. Daily airmail flights were instituted by the U.S. government between New York and Washington D.C.
Sure, you could order some online, but in keeping with the analog spirit of the day, why not find a stationary store and pick some nice paper up in person. There are all kinds of textures and weights available, and you can buy your own envelope or perhaps make one. There's a broad limit on how crafty you’re allowed to be, as long as the address label is visible to the post office and they can see where to send it! If you really want to make an impression on your recipient, you can buy some old-fashioned sealing wax and a seal with your initial on it, so that it looks like they’re getting a letter from the Count of Monte Christo. We love how creative and expressive you can be with a little sealing wax, and it’s the perfect touch to make your letter even more special. In the age of the backspace key, it’s so easy to take back a thought once you’ve expressed it, but it means we’ve lost the art of reflecting before we communicate, and then expressing a thought or a sentiment in a flowing cursive hand. In Finland, for example, schools no longer teach handwriting, with students given the choice to learn to type instead. How many of your hundreds of social networking friends have you actually connected with intimately over the last year? We love National Letter Writing Day because it’s a chance for you to pick a couple of those folks and send them something through the mail that will really break through the noise. In the modern era, there’s almost something weird about giving someone your full attention, but that’s what’s so neat about National Letter Writing Day. It gives you an excuse to make a special connection! These days, big corporations are the biggest users of the U.S. mail system, but that means many of us are missing out on the physical pleasures inherent in writing a letter on nice stationary and sending it through the mail system with a stamp. From famous presidents to wildlife, sports, and celebrating important aspects of our country’s history, stamps are a neat way of expressing your personality through the postage system.